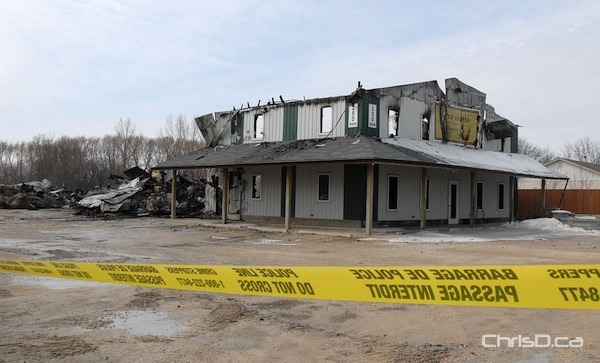 The cause of a fire that destroyed several businesses in Niverville is still under investigation more than two days after it broke out. Early Tuesday a fire ripped through a strip mall on Main Street in the community, putting about 20 people out of work. The building that was destroyed housed a bakery, book store, nail salon, a party and event planner and others businesses. On Wednesday, hot spots could still be seen as crews continued their cleanup work. The Office of the Fire Commissioner was also still on the scene investigating. No damage estimate has yet been made available, but the building is an obvious total loss. Business owners affected say they are determined to rebuild.